The LWR is pleased to announce that it has acquired a LMS 20 ton brake van for use on the works line. The restoration of the van will be a major project for the LWR. Once restored the brake van will be used to carry visitors along the works line. The LWR are planning to bring the brake van over to its new home in Leiston over the next few weeks. A temporary siding will be constructed to store the brake van on until the completion of its restoration. Once restored the brake van will moved to the works line for all to enjoy. 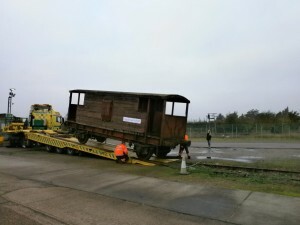 The LWR Brake Van was kindly donated by Tilia Properties of Norwich. 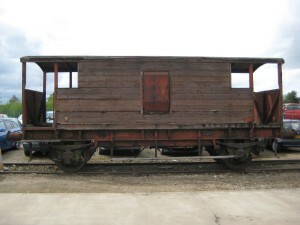 The Brake Van was built by the London Midland Railway at its Derby Works in 1936 and faithfully served the London Midland Railway and then British Rail for over forty years. The brake van was once a common sight on the UK’s railways and thousands were built and used by all railway companies and then by British Rail. 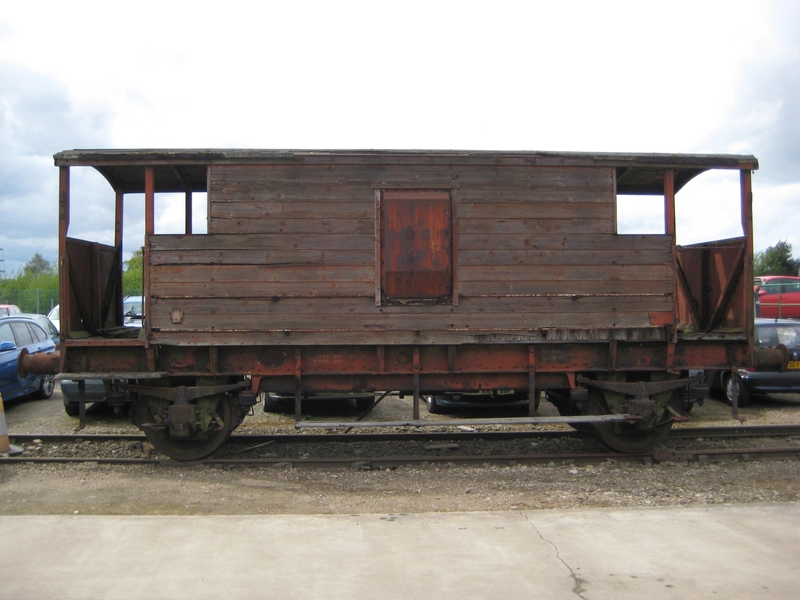 The brake van played an important part in the braking system of trains before the universal use of continuous brakes. The widespread use of the continuous braking system led to decline of the brake van over the 1980’s and today there are only a handful of working examples left dotted around the heritage railways and museums of Britain. For over thirty years the LWR Brake Van has been cut off from the main Norwich to Cromer line on a small redundant factory siding that is now owned by Tilia Properties. Lonely the Brake Van has sat for many years watching the world around it move forward as it has remained unchanged stuck in its own bygone time. On the 24th October 2015 the LWR sent their first working party out to the Brake Van to prepare it for its journey to Leiston. After just a quick oiling the breaks of the Van were released and the LWR soon had it running up and down its short siding. This ease in operation after over thirty years of neglect is indeed a tribute to the quality of the LMS and British engineering. The Brake Van was now ready for its collection on the 1st of November! 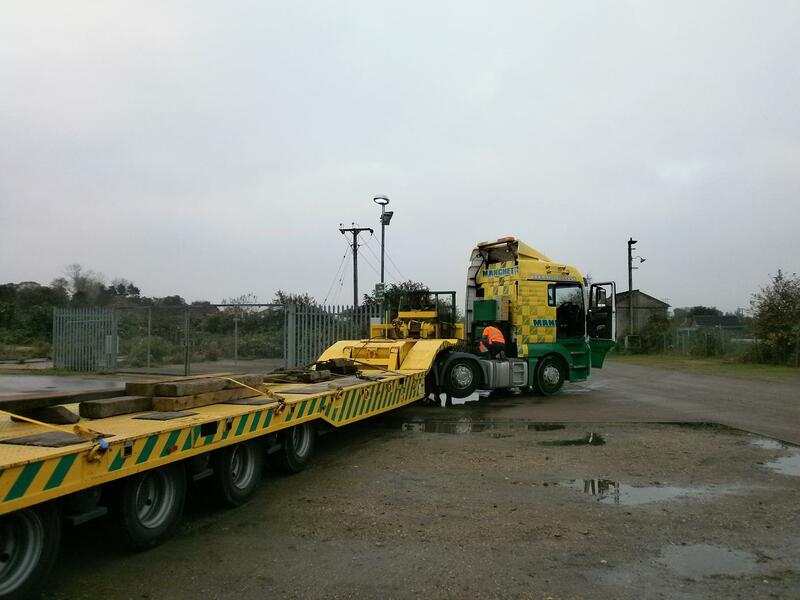 The LWR hired the transport and recovery company Manchetts of Burwell,Cambridgeshire to collect and then take the Brake Van to Leiston. Manchetts used a very impressive low loader and winch and the Brake Van was swiftly loaded and secured for its journey. 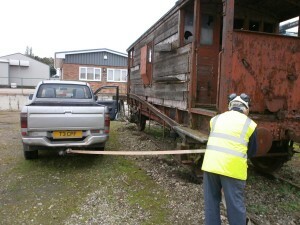 Before the collection of the Brake van members of the LWR constructed a temporary “siding” in Leiston to store the van during its restoration. 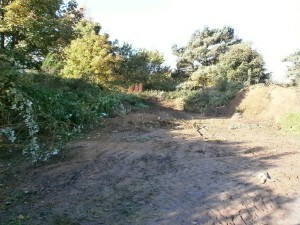 The Aldeburgh branch “siding” was the result. 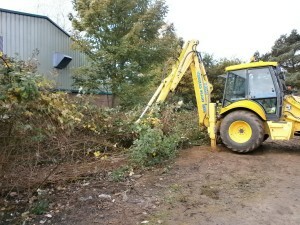 The Van is now under cover in our workshop and restoration is under way! 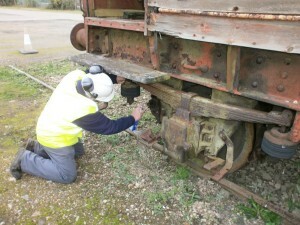 See our “Brake van Restoration Begins” page.